Microsoft is working on another small step to tie itself to your smartphone. 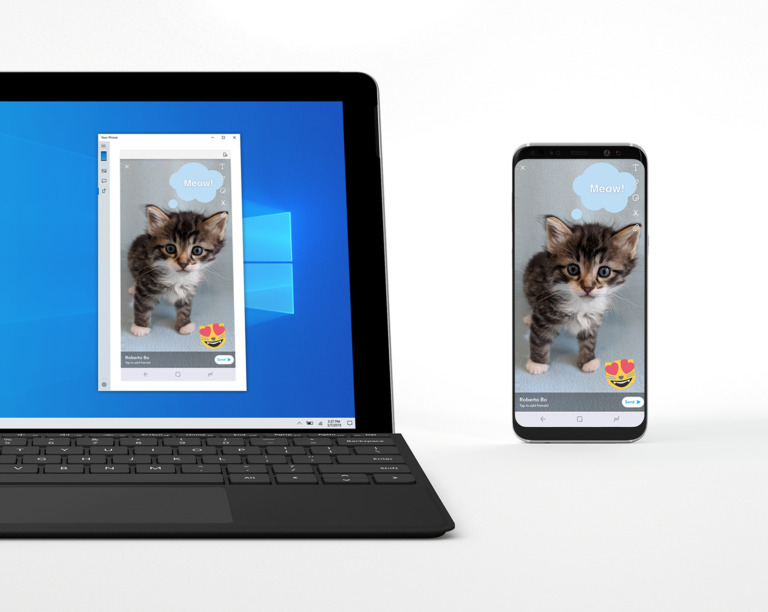 The ‘Your Phone’ application in Windows 10 provides connectivity to your Android phone, with features including syncing messages, photos and notifications. This content mirroring enjoyed by many is set to be joined by screen mirroring, allowing your smartphone’s screen to pop up on your Windows desktop, with the Surface Go the first Surface device to offer support. As you can see, Microsoft is rolling out the new screen mirroring feature slowly, with only a small subset of users able to currently take advantage of it. You need to be part of the Windows Insider program; you need to be using Samsung’s Galaxy S8, S8 Plus, S9, or S9 Plus; and you need to be running Your Phone on a Windows 10 device with BlueTooth LE. For those keeping it inside the Microsoft family, the Surface Go will be the first Surface device to allow testing of this feature.